From Prison To The Workforce People who've been to prison find it hard to get work once they're free. One solution to the problem may be a simple certificate. Back in 1988, Mark (ph) was an 18-year-old freshman at the City University of New York. MARK: Someone came to me with an amazing deal. Like, you know, we can move these - it was heroin - we can move these bricks. You know, nobody has any. But it was a setup, what's called a reverse sting. And one of the people Mark was dealing with turned out to be an informant for the Drug Enforcement Administration. Mark was busted, and he was convicted of a felony in 1990. He would then spend 17 years in federal prison. MARK: I - as I said, I tried to take a shortcut and - in life, and (laughter) it ended up being a really long detour. VANEK SMITH: After Mark was released in 2007, he had a bunch of things he had to figure out. He wanted to finish college. He needed to figure out where he was going to live. And of course he wanted to find steady work. And there was one thing he made clear to people back in the first few years after he'd gotten out. MARK: Well, I want you to understand that I am not going back. That is the past. It's over, and I am not going back. VANEK SMITH: He was not going back to prison. Two out of every 3 people who've been incarcerated in the U.S. end up getting rearrested within three years after they've gotten out. This is clearly a horrible outcome for those people. And it's also costly for society because each inmate costs between $75 and $200 each day. GARCIA: And one obvious way that people can reintegrate into their communities after they've been in prison is for them to find work and then to stay working. 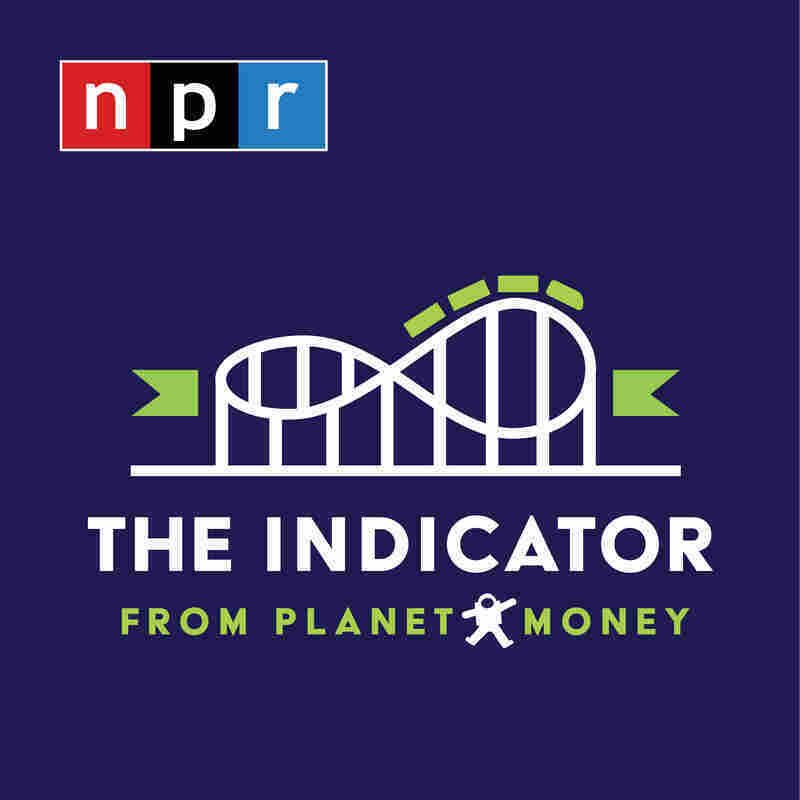 This is THE INDICATOR, where every day we tell you a short story about the economy. I'm Cardiff Garcia. VANEK SMITH: And I'm Stacey Vanek Smith. Today on the show, we look at a few policy ideas for helping people who have been in prison get back to work. We look at the evidence for which ideas work and the surprising evidence for which ones don't. JENNIFER DOLEAC: I'm Jennifer Doleac, and I am an associate professor of economics at Texas A&M University. GARCIA: Jennifer studies the economics of crime. And she just finished a detailed report about ideas that might help people just out of prison to get jobs and then stay employed. She also looks at ideas that will convince businesses to hire these people. VANEK SMITH: Jennifer looked closely at many different policies that are meant to help people get work once they're out of prison. And we're going to share three of them with you today. She found really interesting evidence for three things that work and don't work. GARCIA: First up, transitional jobs. This is when usually a nonprofit arranges for someone out of prison to have a job for six months either working directly for the nonprofit or with an organization that the nonprofit has a relationship with. It's a paying job with a supervisor. And the idea is that the person will get some experience, make a little money and also signal that he or she is reliable so that it's easier to get a job in the regular workforce once the six months are over. VANEK SMITH: Jennifer says that while people are employed in the transitional jobs, for the most part they do show up. They work, and they get paid. But the evidence so far shows that once the six months are over, they're not more likely to find work than the former prisoners who do not have a transitional job. And they're also not less likely to be incarcerated again. DOLEAC: It does not seem like these types of programs are successful as currently designed at transitioning people into private sector jobs. GARCIA: Next, Jennifer looked at the evidence for an idea that's become popular especially amongst politicians. It's called Ban the Box. And the box in this case refers to a question on a job application which asks if you, the person applying for a job, have been convicted of a crime. And if the answer's yes, you have to check the box. VANEK SMITH: And the reason people don't like this box is that employers might then throw out a job application right away if someone has checked the box. So a lot of politicians have tried to ban the box in the cities and states they represent. But there is a problem here. And Jennifer has done some of her own research on Ban the Box. DOLEAC: So the evidence suggests that it is both not working and actually making things worse. DOLEAC: (Laughter) Yeah. So the first concern from economists like myself was that if most employers don't want to hire people with criminal records and we tell them they can't ask anymore, then that doesn't make them stop caring. It just makes them guess who has a criminal record. GARCIA: And when the box is banned, the way that employers guess which job applicants have a criminal background is by discriminating by the race of the job applicant. Jennifer and her colleague Ben Hansen looked at the effects of Ban the Box in different parts of the U.S. where it had been rolled out. And specifically, they looked at the effects that Ban the Box has had on young, lower-skilled black men. DOLEAC: And so what we find is that Ban the Box has led to a 5 percent reduction in employment for young, low-skilled men - young, low-skilled black men, that is. DOLEAC: Five percent is a lot. GARCIA: ...Effect. That's a big effect. DOLEAC: Yeah, for a group that already struggles in the labor market for a variety of reasons. VANEK SMITH: The evidence we have so far on both transitional jobs and on Ban the Box is that at best they're just not very promising. So what policy is promising for getting people who have served time in prison back to work? Rehabilitation certificates. Here is how Jennifer describes them. DOLEAC: Usually they're court-issued certificates. So basically the idea is that if you have a criminal record, you can go before a judge and try to convince him that you've been rehabilitated. You can have character witnesses. You can provide, you know, a certificate from a training program, whatever it is that, you know, could convince the person that you have turned your life around. And if the judge is convinced, then they can give you a certificate that then you're able to show to potential employers. VANEK SMITH: This is one of the things that Mark, the man who had been busted in the heroin sting, did once he got out of prison. He finished college. He got a law degree, started working. And he got one of those certificates of rehabilitation. MARK: So what that means is it creates a presumption - New York state recognizes that you've been rehabilitated. GARCIA: But also, these certificates might help businesses protect themselves if the person they hire commits another crime while on the job because then the business can just say, look; this person had a certificate, so you can't accuse me of negligent hiring. And so that might make a business more likely to hire that person in the first place. DOLEAC: The really striking result here is that those with that felony conviction and also a rehabilitation certificate were just as likely to get a callback as people with no record at all. DOLEAC: Yeah. And so that certificate seemed to completely wipe out the effect of the record at least in terms of getting people in the door, which is awesome. GARCIA: Jennifer does say that there are still just a couple of studies on these certificates. But the results have been hopeful. But one issue with these certificates is how hard they are to get. So here's Mark describing the application for his certificate in New York. MARK: So, you know, you want to get affidavits of people who know you. You want to get school transcripts. You want to just show things you've done. I showed a ton of stuff that I had done when I was in prison. I had tons of certificates, newspaper articles, all kinds of proof of the things I was doing while I was in prison, showed that I had been working since I had gotten out and, you know, that life was pretty stable. VANEK SMITH: Plus Mark had to be interviewed in person. And overall, it took more than a year for him to get the certificate. Tough requirements like these are why it's so impressive to a business if someone has a rehabilitation certificate. But it also means that there is a limit to how many people the certificates can help. Not very many people out of prison will be able to get one - at least for now. But that's something Jennifer says policymakers can think about changing. DOLEAC: There's probably some middle ground here. We could probably expand the number of people who get these certificates and still make them a valuable signal. The big question is, how much can we lower the bar, so to speak, for what qualifies as rehabilitation and still make it a signal that's valuable to employers and landlords? GARCIA: And for his part, Mark is glad that he has a certificate in case he wants to switch jobs at some point. But he also adds that more people should know that these certificates are available in the first place. MARK: A lot of people don't even realize it. I didn't realize it until I spoke to someone and they happened to know about it. And I thought I was, like, up on everything in terms of re-entry before I came home or came back to New York. So I wouldn't hold it against them, but it would definitely be a plus for someone who has it. GARCIA: Which is why Mark says he now spends time advising other people just out of prison on how they can get a certificate of their own. GARCIA: A quick note that Mark was a little bit nervous about sharing his past publicly. And he asked us not to use his last name, and we agreed.